The first step in surviving the furlough is to take a look at your budget and see where you can reduce spending. Our budget is already fairly tight, so this will require even more sacrifice on our part. Thankfully, the Lord prepared us a bit in advance. 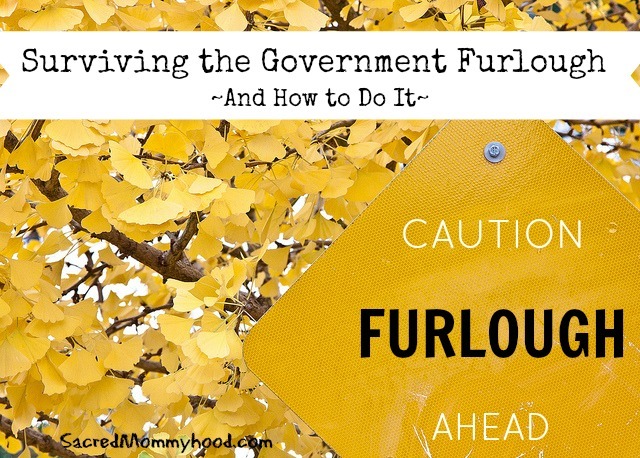 We knew the furlough would eventually catch up to us, so we worked hard to pay off debt. Currently, we have no car payments and no credit card debt. Other than our mortgage and typical expenses (food, utilities, gas, insurance, etc.) we only have two fairly large medical bills that we are slowly paying off (portion insurance didn't cover). Compared to the average family, we're in pretty good shape I think. 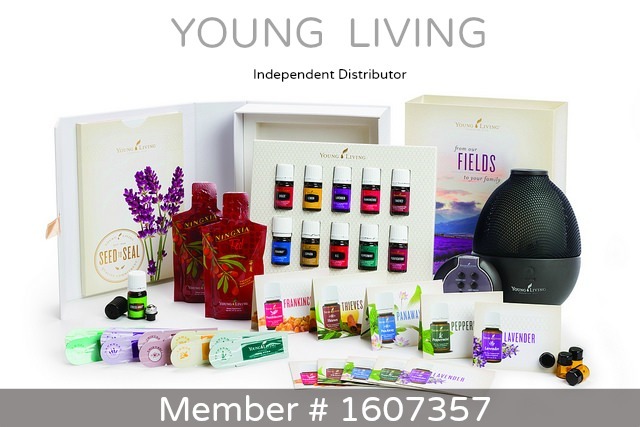 But we're a large family living on one income, so this monthly loss will hit us hard. In addition, our daughter is leaving for college, so we will have ongoing tuition payments to make. I realize this will hit other families harder than ours. Some have lost jobs completely, and some may lose their homes. My heart aches for them, and we are continually praying for all those affected. Every family will face different challenges and have different priorities during the furlough. Our priority is keeping up with our mortgage, feeding our family, keeping the lights on, and getting Celeste off to school. Everything else is negotiable. Pray for God to show you areas in which to cut back. Some things that we think are necessities really are not. Depending on your financial position, you may need to dig deep to cut back. Ask God to show you what is truly needed and what is not. Ask Him to provide extra work if that is what it will take to stay afloat. Our kids love family meetings. It's a great way to get all family members on the same page. Discuss ways that everyone can pitch in to reduce spending. Perhaps a little one can be in charge of making sure lights have not been left on. A family meeting also lets the children know that life may look different for a while. Less activities, less eating out, and whatever else you will need to cut back on. Including your children will make them feel like they can make a difference, and prepare them for changes. Contrary to what most of the world thinks, cable is not a necessity. You may think that getting rid of it won't help, but every little bit helps. We only have basic cable for $19 a month. However, by the time you add the taxes and fees, and the second box rental fee, $19 has turned into $40. We will keep Internet, but cable is going bye bye! We do have Netflix, and plan to keep that for the time being. If you have one of those deluxe cable plans, you could save big in this area! Making changes here will depend on whether or not you have a contract. We have a TracFone, so we only spend about $30 every 2-3 months. We only turn on our cell phone when we're out of the house, and we don't carry on long conversations on the cell phones. If you have an expensive plan, try to reduce the plan if possible. Usually, companies are willing to work with you if you explain your situation. It's worth a try...you may be able to save here. We are already pretty conservative when it comes to the air conditioner. We are a 78 degree family in the summer. But due to the furlough, we've cranked it up two more degrees. Sometimes we feel a little warm, but that's okay. We can feel a little uncomfortable to reduce our energy bill. But when you think about it, if it's 95-100 degrees outside (we live in south Texas), 80 degrees inside is not bad. We're good! If you need to conserve energy in the winter, obviously you would want to turn down your thermostat. You can really save in this area if you tend to buy a lot of convenience foods or name brand items. Even though it takes more time, making meals from scratch will save hundreds of dollars. Create a menu plan and grocery list and stick to it. Seriously, the amount of pre-made, pre-packaged food I see in people's carts makes me want to take them by the hand and tell them there's a better, less expensive way. Don't get me wrong, I'm not judging at all! I buy my kids corn dogs and potato chips. If you can afford it, have at it. But so often, folks can't afford it, but just aren't willing to do the leg work required to save money. If you struggle to get meals on the table, and resort to convenience foods, maybe these tips can help. If you're a bulk food buyer, be sure you're comparing unit prices. Sometimes, buying name brand bulk items can be more expensive than buying the generic non-bulk items. Just because an item is sold in bulk, doesn't mean it will be cheaper. Check unit prices always! We spend about $1000 a month on groceries for the 11 of us. This includes paper products, toiletries, and diapers. I think I can reduce this by $200 a month. We have a small emergency stockpile of food that we can pull from, and I can easily cut out some things we don't need. In fact, I just did our shopping for this two week pay period, and I shaved $100 off the bill. I shopped from the stockpile first and came up with some of our least expensive meals, and created a new menu. And then I just passed on some frivolous grocery items that I usually get but don't need. This is another area in which we can really save considering we drive two large, gas-guzzling vehicles. We try not make frivolous trips as a rule, but now we're more cautious about where we choose to go. Aside from my husband going to work, piano lessons, and or bi-monthly shopping trips, we're pretty much sticking around the house. There's plenty to do around here, plus we have a neighborhood pool, so it's all good. The best thing you can do is figure out what you're spending on any given trip. You may be surprised to find you're spending more than the trip is worth. You can calculate the cost of your drive here. As I mentioned above, we have two fairly large medical bills on which we make monthly payments. My husband contacted the billing departments, told them of our situation, and they reduced our payments by half until furlough is over. If we are able to make our regular payments, we will. But this gives us some flexibility if we fall short. Whatever your bills are, call the companies and tell them your situation. In most cases they will work with you as long as you are sending something. Just be aware of your credit card interest rates, making sure they don't increase with that smaller payment. It's tempting to open up new credit accounts or take on new loans as a means to survive. Don't do it! It may save you now, but could put you in a worse position later down the road. Years ago, we took on a Deed for Contract home. It sounded like a good thing at first, but we quickly learned it was nothing more than glorified renting with all the responsibilities of home ownership. So when our house payment skyrocketed and the air conditioning until went out in the brutal heat of August while I was 7 months pregnant, we turned to accepting credit card offers to survive. It took us YEARS to pay off all that debt. The blessing was, however, that we have never taken on credit card debt since! Here are more ways to reduce the budget. Come on back soon for the next post in the series: Finding Extra Income. How have you reduced your budget? Please share any additional tips you may have! My friend, Annie, saves money by using cloth diapers. And Annie and Kelly both mentioned cutting their family's hair to save. This is SO true! I cut all of my kids' and husband's hair...for 22 years. You can imagine the savings there.